We use thicker stainless steel than normal Bbq Tools Set so they are extremely durable and will never bend or break when picking up large pieces of meat. Extra Wide Hanging Hooks with Leather Straps fit on any Grill Tools holder including Weber Genesis Big Green Egg and all other barbecue models. The stainless steel handles on these grill tools provide the perfect amount of grip while providing you with a tool set you'll never need to replace! Looking for ideal Bbq Grill Set with Wood Handle Manufacturer & supplier ? We have a wide selection at great prices to help you get creative. All the 3pcs Bbq Grill Tools Set are quality guaranteed. 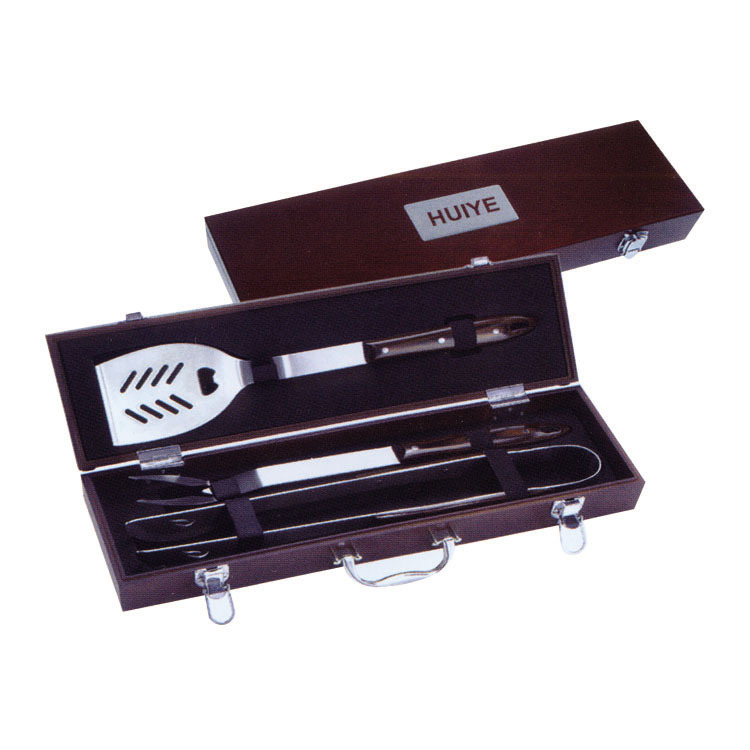 We are China Origin Factory of High Quality 3pcs BBQ Tools Set. If you have any question, please feel free to contact us.